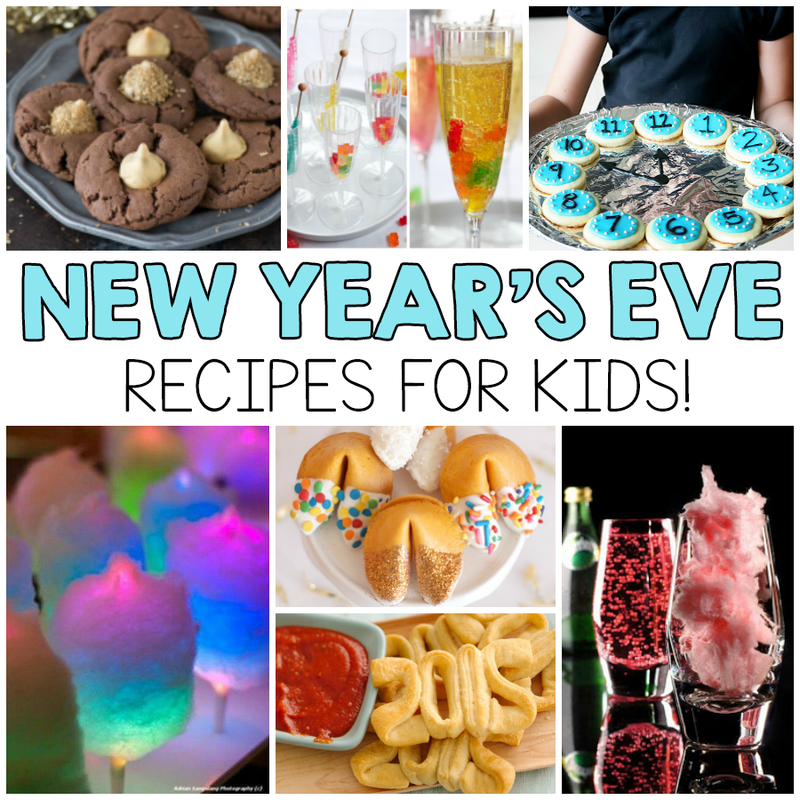 Sweet and creative food will be a hit at a New Year’s Eve Party with kids. 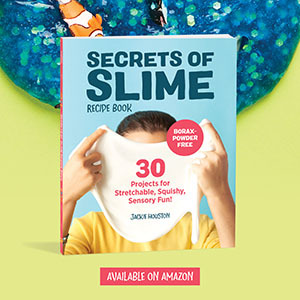 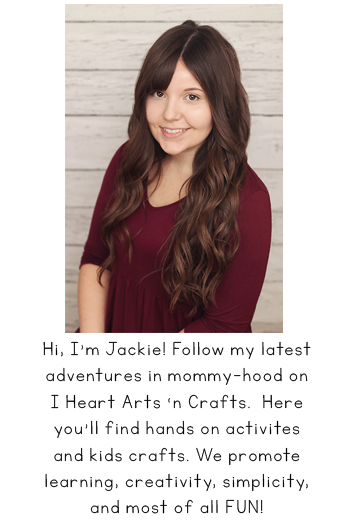 Here are some fun ideas you might enjoy! 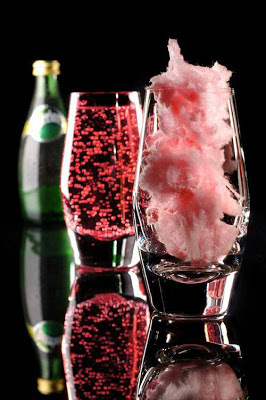 Cotton Candy Magic Mocktail – Fill a glass with pink cotton candy and slowly pour Lime Perrier over top of it. 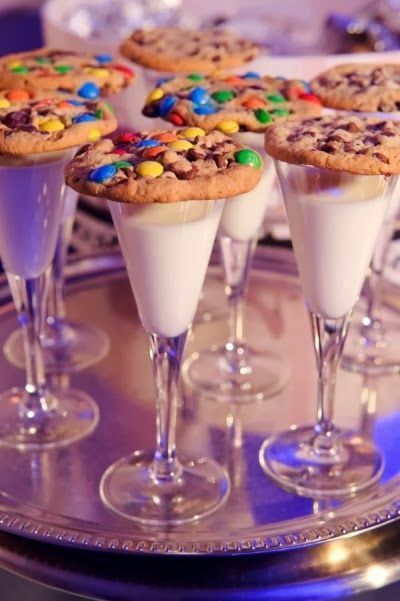 (I believe club soda would work also) And the candy dots should form automatically. 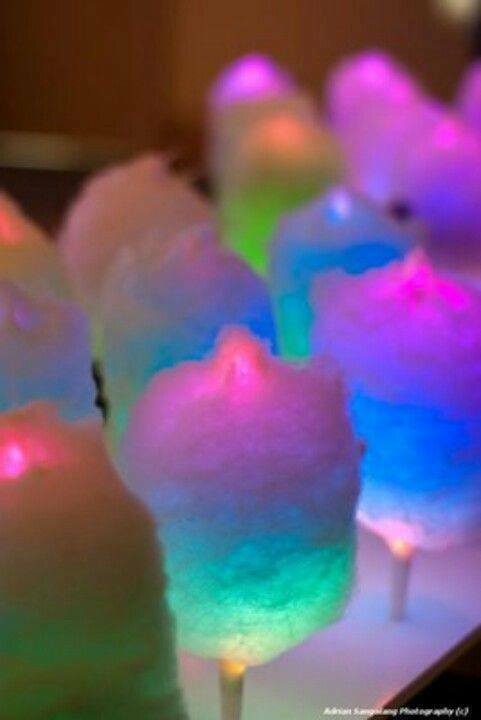 Glow in the Dark Cotton Candy – Use these LED cotton candy sticks here to make this awesome treat! 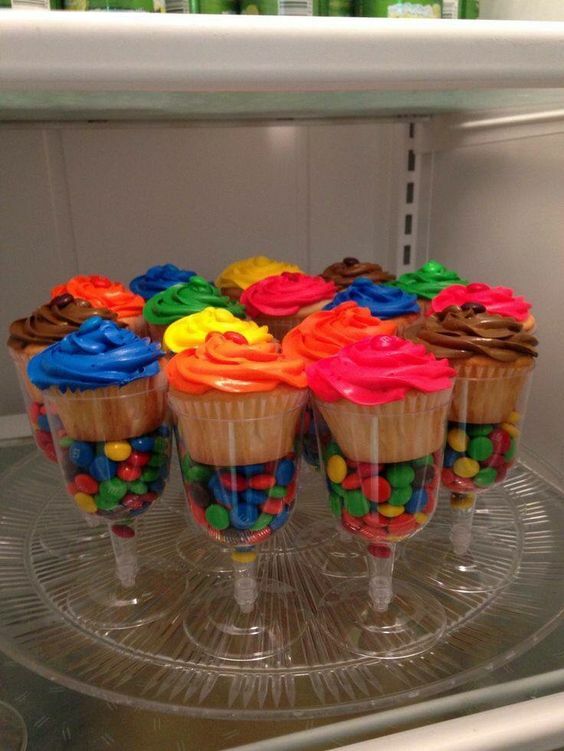 Let the kids join in on the toast by using some cheap dollar store flute cups and fill with with milk served with cookies! 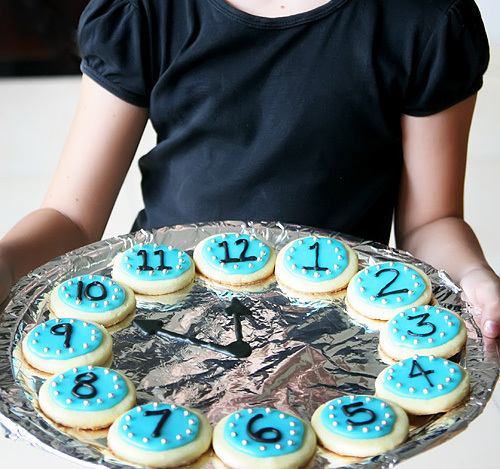 Cookie Clock Countdown – You could use cupcakes too! 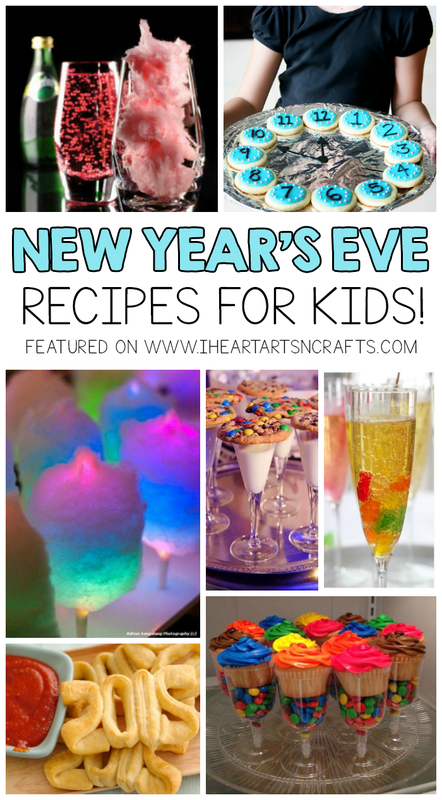 Candy Mocktails – How fun are these? 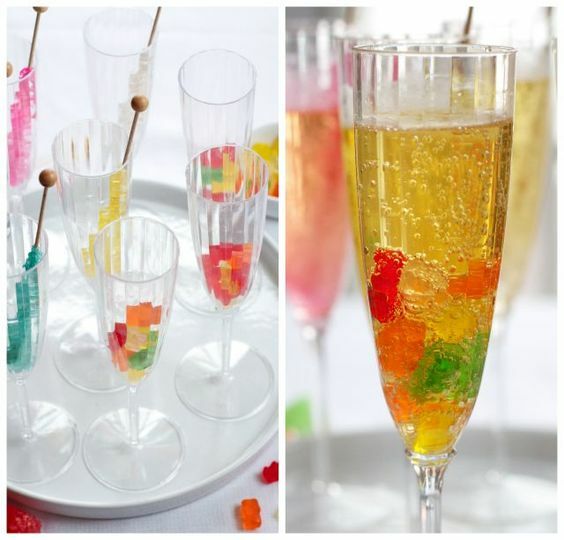 Add your favorite candy to some sparkling juice! 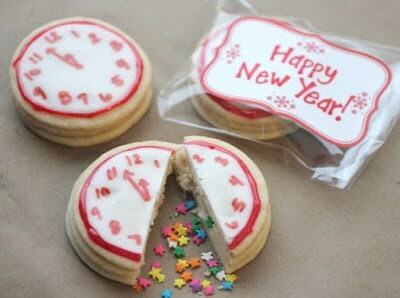 New Years Confetti Clock Cookies – Fill the cookies with a fun surprise! 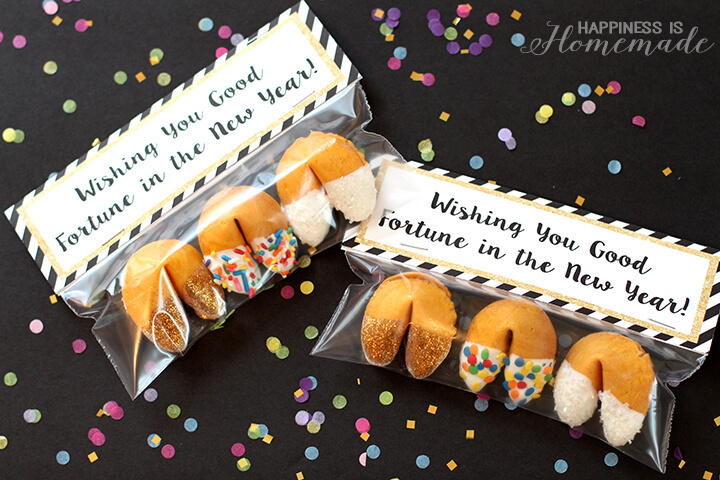 Glitter Dipped Fortune Cookies – perfect party favors for New Years! 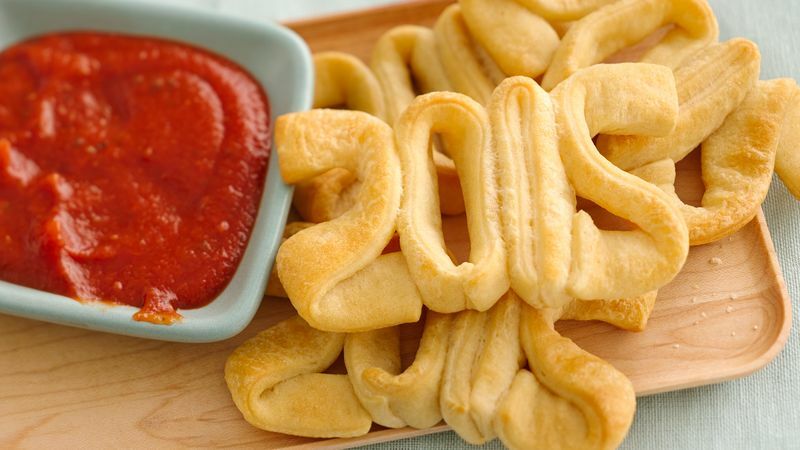 New Year’s Crescent Dippers – Whip these up in no time for an easy party appetizer! 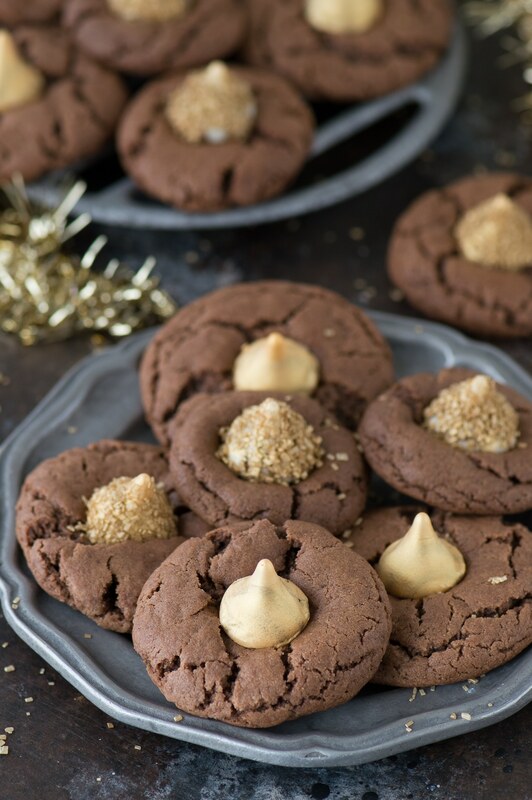 Midnight Kiss Cookies – Share a “kiss” at midnight with these delicious sweet treats!